Two councillors have survived calls for them to be sacked from their posts over the death of Baby P in London. 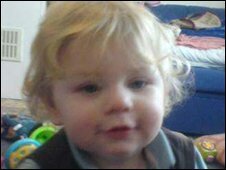 The 17-month-old boy died in August last year in a blood-stained cot after months of abuse, despite 60 visits from authorities over eight months. 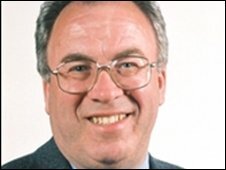 Lib Dem opposition members on Haringey Council tabled a motion of no confidence in council leader George Meehan and colleague Liz Santry. But the majority Labour group passed an amendment removing that element. Instead, the group inserted a commitment for the council to act on the recommendations of a government review of children's services in the borough. The council has previously apologised for not doing more to protect Baby P.
The motion, which had been tabled by Councillor Robert Gorrie, was discussed during a three-hour debate at a meeting of the full council on Monday. It was the first to be held since the trial concluded of Baby P's mother, her boyfriend and their lodger, Jason Owen, 36, over the youngster's death. All three will be sentenced at the Old Bailey on 15 December after being convicted of causing or allowing Baby P's death. Mayor of Haringey Alan Dobbie opened the meeting by offering apologies for the events leading up to Baby P's death and led the council in a minute's silence. During the debate, members of the public heckled Ms Santry, the council's cabinet member for children, and other Labour members. Children's Secretary Ed Balls has already ordered an inquiry into Haringey's child welfare services. Ms Santry told the full council meeting she did not believe a public inquiry would be the best way to handle the situation. She said the essential thing was to understand where the failings had been and how they could be put right. She added that process would only be dragged out by a public inquiry. Ms Santry again also apologised for what had happened. Matt Cooke, chairman of Haringey Labour Group, said the calls for Ms Santry and Mr Meehan to resign were premature. He said: " The council has said very, very clearly we will take whatever action is necessary, and Councillor Santry said she would rule nothing in and nothing out." After the meeting, Lib Dem group leader Mr Gorrie said: "People right across the country will share our dismay and disgust that the people running Haringey Council will not take responsibility for this tragedy. "How can we rebuild Haringey's shattered reputation if the same people remain in charge?" The authority was previously severely criticised after the murder of eight-year-old Victoria Climbie in 2000.